My name is Chris Wauben aka: The American Flag Running Man. 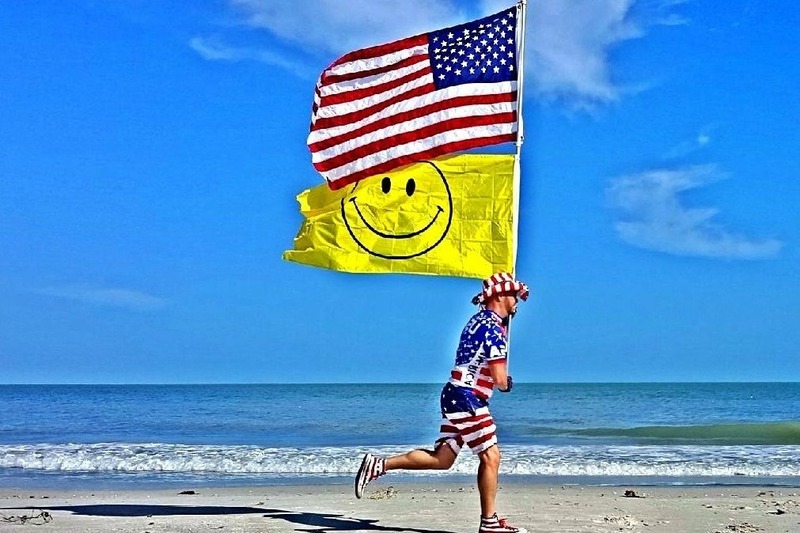 A patriotic Civilian who has run the American Flag Over 100 times and will never stop This year my goal is to run with my American Flag all over America, on the beaches, the cities, small towns, 5k runs, 10k runs etc. all for the purpose of thanking our vets and all who serve and have served along the way. It's all about making people happy. Please help support my American Flag Run Travel Fund so that I can make this happen!